Caribbean bound ships have been warned to steer clear of waters near the Kick’em Jenny underwater volcano after an orange alert was issued on Sunday, March 11, 2018. Director of the University of the West Indies Seismic Research Centre, Professor Richard Robertson said although there was no imminent danger to the region, all ships are advised to maintain a five-kilometre exclusion zone from the site of the underwater volcano, located approximately eight kilometres off Grenada. “An eruption hasn’t happened yet, but it could happen, which is why we’re keeping an eye on it,” he said. Robertson said an increase in gas emissions from the volcano could affect the buoyancy of ships. The volcano is also situated near a shipping route between St Vincent and Grenada. Robertson said there could also be temperature changes near the site as a result of the increased activity. “Due to this activity, you could have a lot more gases being emitted from the volcano. Hot rock gets to the surface and if it does that, of course, it will change the temperature of the areas around the volcano,” he said. However, Robertson explained that while an eruption was likely, it would probably not produce enough material to dislodge large amounts of water. He said surrounding islands including Barbados, St Vincent and the Grenadines, St Lucia and Trinidad and Tobago, are not at risk of any tsunami activity associated with the volcano. Kick ’em Jenny is one of the most active volcanoes in the Eastern Caribbean and has erupted several times since its first recorded eruption in 1939. However, none of the eruptions resulted in any deaths. 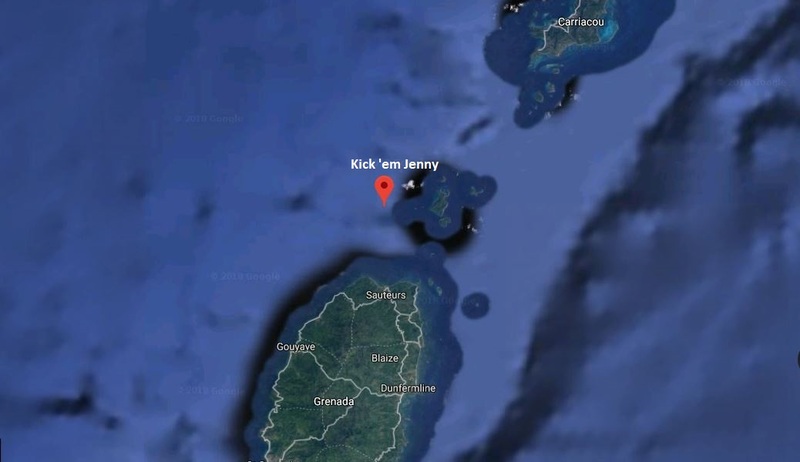 The most recent eruption of Kick ’em Jenny occurred in April 2017.